Concrete is highly popular in contemporary buildings. But nowadays we are using it a stage farther. Concrete is used to make exceptional counters in the kitchen as well as bath. Simply add the proper feel and shade of color and you also got an outstanding finish to the countertop. We have many options of designs and colors to choose from, the possibilities are endless. 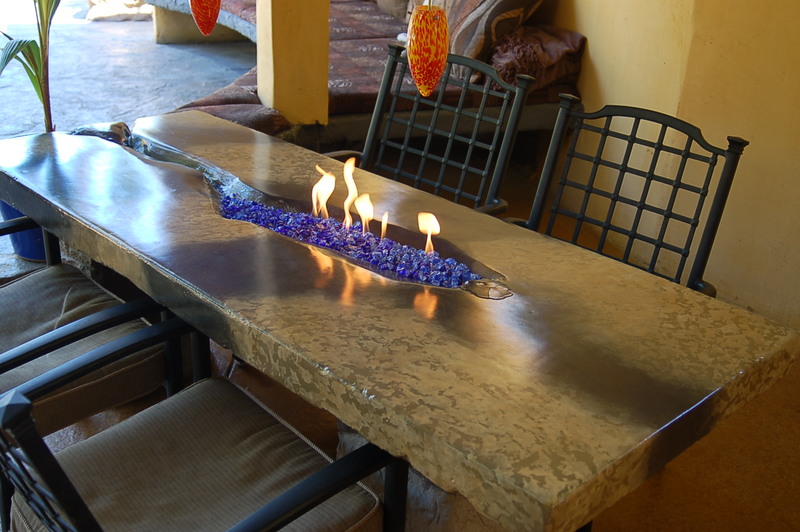 Concrete counter-tops are creating a huge splash in interior decor due to the tendency toward a more normal, rock look of counter tops in residential and commercial applications. Many who can't manage the costlier granite or marble are proceeding toward concrete counter-tops. ​You will find concrete countertops in nearly as many shades as laminate counter-tops. Colors of red, blue and green combined with the natural jewel colours can be found. Most concrete counter-tops are customized, in order to set just as much of your character inside it as you prefer regarding form, color and layout. The versatility of concrete, which permit an individual to create without limitations, creates some quite exciting interior-design possibilities. Concrete counter-tops provide the owner an infinite palette of hues as well as layouts to set free on the interior of your home. Whether it's a big, simple-to-clear industrial work-surface or a stylish kitchen characteristic, concrete countertops would be the best way to go. ​In different sections of earth concrete has been utilized to produce counters for years and years. It normally is integrally colored, stained, polished, or even just a mixture of many techniques. You can change up the contour as well as dimensions plus include ornamental things like colored glass or useful things for example cutting boards. ​Another approach to creating concrete counters, which the bulk are unacquainted with, is using an overlay to relatively of a pre-produced solid area. With overlays, you have the ability to have equal appearance, sense, and normal selling point-of solid concrete. The benefits of counter overlays contain stuff price and far easier treatment they don't weigh almost as much as sturdy concrete. ​The emphasis of a house remodel is the kitchen, therefore let's express our thoughts to start with in this well-known central assembly point. Don't hesitate to make your kitchen in to chef's principal with the addition of unique touches and add-ons only for you personally. Approximately with moulds and forms before pouring the concrete therefore that you'll be sure to get all the qualities you need. Use whatever color, or blend of colors, you need to your counter tops in order to complement the remainder of your kitchen. 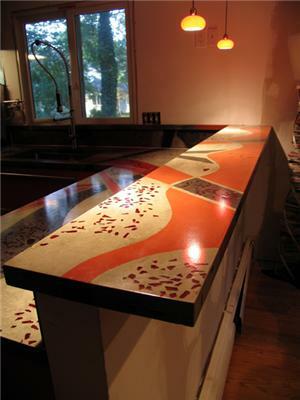 ​Concrete counter-tops are a great ideal that is stronger than any normal surface including granite or marble. They've been immune to heat and surface burns, meaning you do not need to be worried should you unintentionally place a hot-pot or pan around the counter top. But should you want to cut veggies, that you'll need to utilize a reducing board since cutting a mark will be left by a concrete countertop.